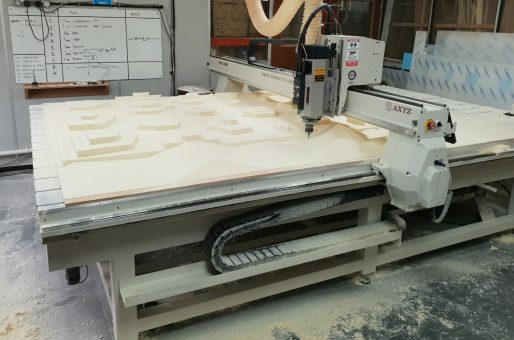 As always it is not just the machine that does the work. It is the team and knowledge that is key. 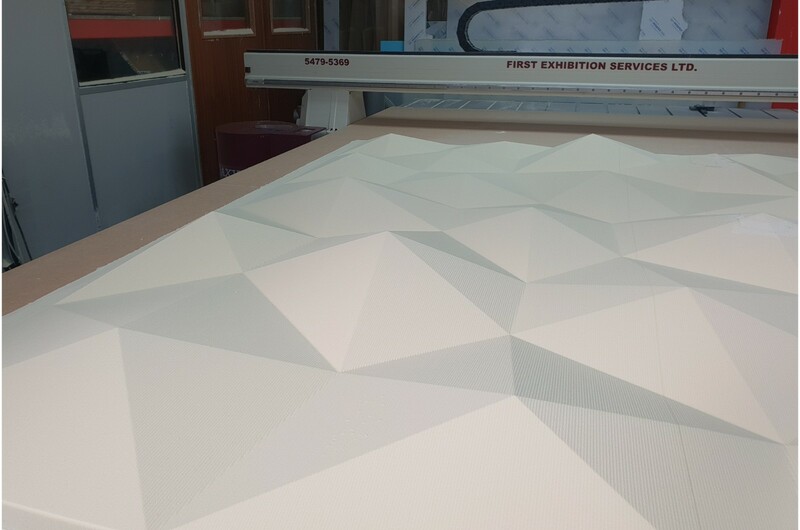 We were asked to produce two 3D reliefs within just a few days! 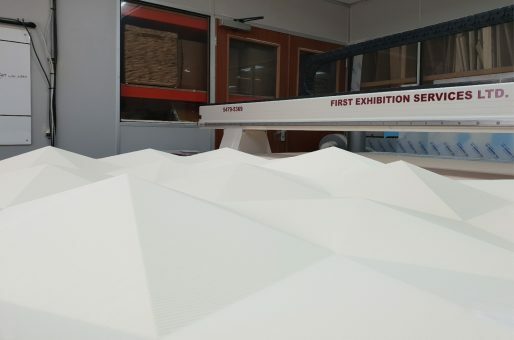 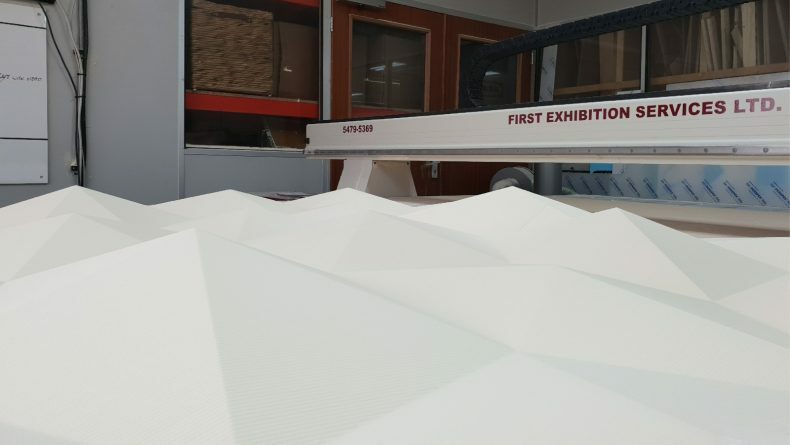 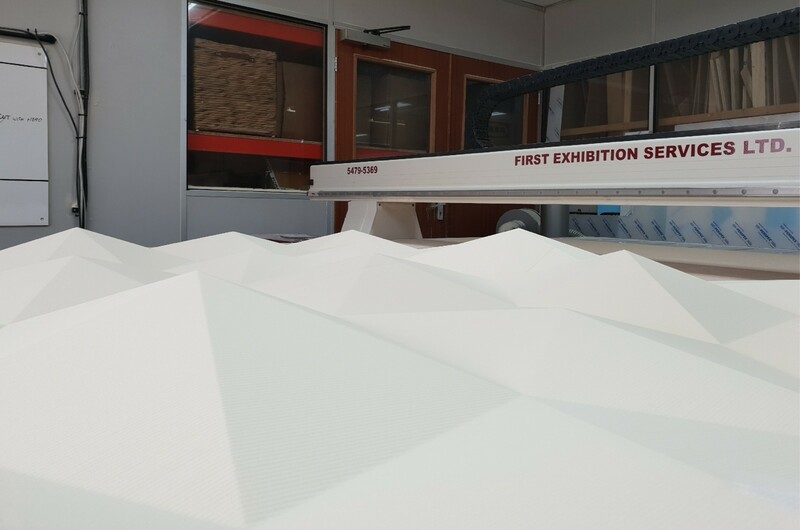 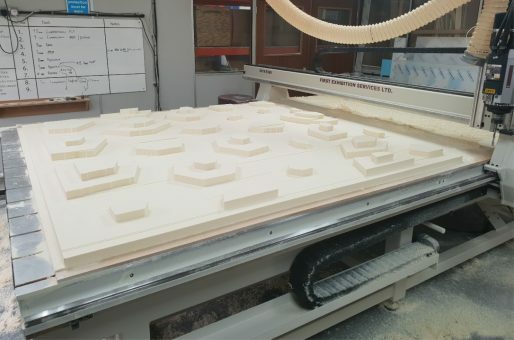 After processing the CAD files to produce a machinable file our team set about producing two 2m x 2m 3D triangle reliefs. 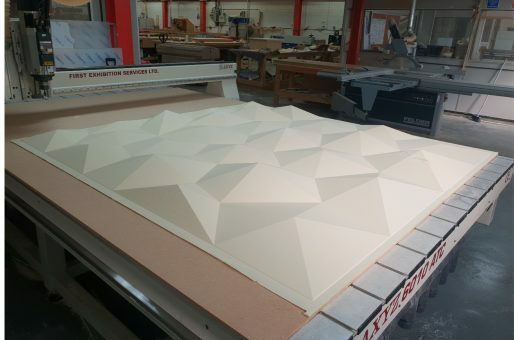 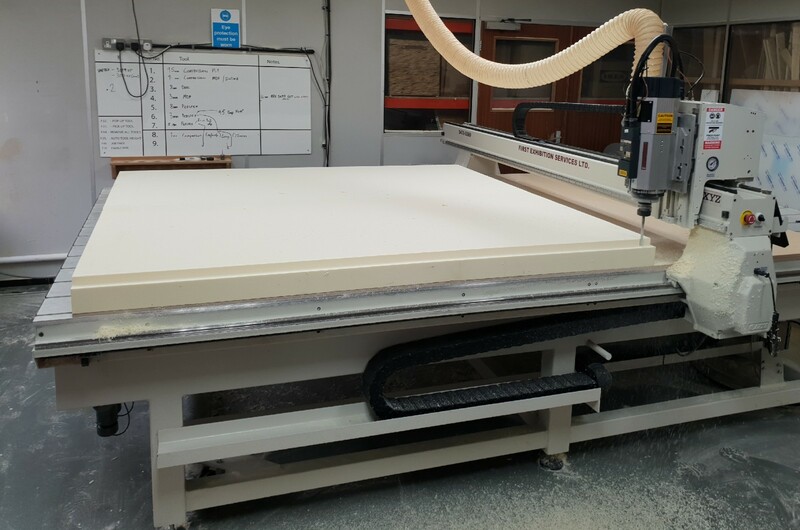 The boards were bonded in our workshop to produce a big enough surface to work with and then from a solid lump of foam. 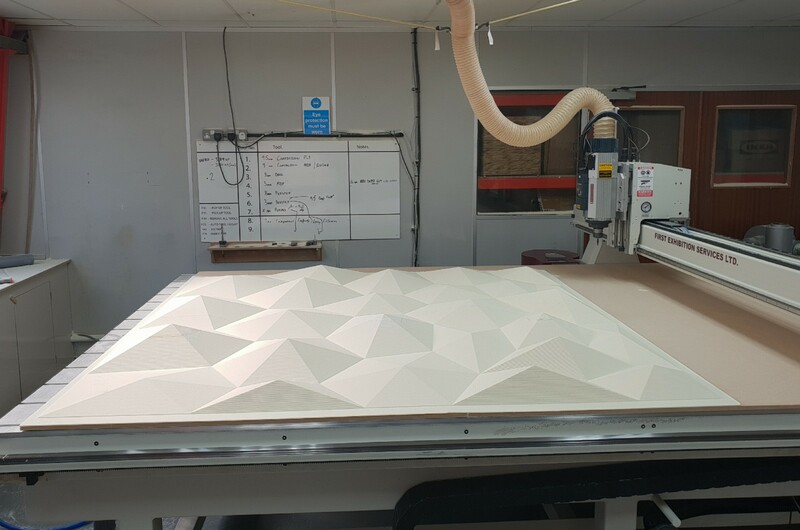 Then our Project Director Matt and Electrical wizard Dan set about testing and then producing these two pieces of art in 48 hours. To deliver this job meant working through the night to meet the clients deadline. 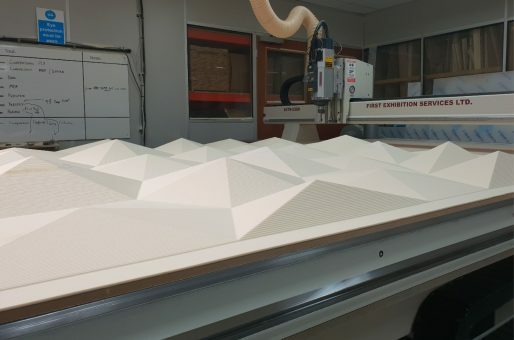 However the end result as the sun came up over the peaks was worth it showing that as great as a machine is it is the knowledge and skills behind it that really make the difference!